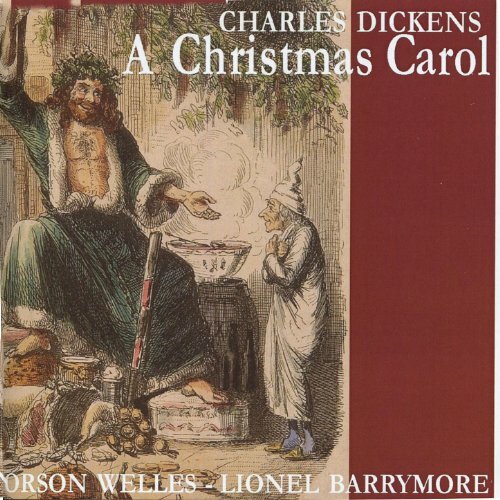 My interest in Charles Dickens’ A Christmas Carol began one Christmas eve when, as a small child, my parents turned on network radio to listen to what, even then, had become a classic Christmas eve festivity: Lionel Barrymore’s presentation of the Dickens story. Radio was a medium that required the imagination to paint scenes far more colorful, and to concoct monsters far scarier, than anything motion pictures or television have ever been able to present. With radio, the listener was the stage designer, costumer, and location director. In later years, I watched Alistair Sim’s movie version of the story – the best of all the movie treatments, in my view. The film’s special effects portrayal of Marley was nowhere as hideous and frightening as the one I had created in my mind while listening to the radio. Listening to Marley’s chains being dragged up a darkened staircase elicited a stark terror that far exceeded the scene I saw in the movie. May it please the Court. . . and frankly, even if it doesn’t please the Court. I find myself, once again, in the company of people like Clarence Darrow, who observed that “there are those who run with the hunters, and those who run with the hunted.” In representing my client, Ebenezer Scrooge, I am running with the hunted. Over the years, we have witnessed a thoroughly one-sided treatment of my client at the hands of the prosecution, as represented by Charles Dickens. On the basis of emotionally-riddled allegations, coupled with pure economic ignorance, we have been asked to find Mr. Scrooge “guilty” of the most ill-defined wrongdoings. Most of us have been dissuaded from even imagining the possibility of a defense for a man like Scrooge. Indeed, I suspect that many reading this brief are doing so under the impression that this is nothing more than a joke or, at best, a humorous proceeding designed to satisfy your legalistic fancies about “due process,” so that you may A Christmas Carol Buy New $0.99 (as of 06:55 EDT - Details) proceed to hang my client with a clear conscience on your part. To even mount a defense on behalf of my client is to risk the disapprobation of all those burdened by the sentiments of “political correctness.” This is the age of tabloid thinking, which presumes that if allegations rise to a sufficient level of heinousness, no defense is conceivable, not even the defense of “innocent of the charges alleged.” Some might even say that the more atrocious the allegations leveled at another, the less evidence that is necessary to sustain the charges, and the greater the burden upon the defendant to refute and disprove such charges. What is the bill of particulars with which my client is charged? Pay close attention to Mr. Dickens’ allegations. His case comes down to just two points:  my client has managed to become very rich, and,  he insists on keeping his money for himself. That’s it! That is the essence of his alleged wrongdoing. S-C-R-O-O-G-E ! Though I hope that you are sophisticated enough to resist such an apparent ad hominem attack against people of wealth, such has not been the response of most men and women. Like Ayn Rand’s sniveling bureaucrat, Wesley Mouch, the name “Ebenezer Scrooge” is designed to evoke prejudice and animosity in the mind of the reader, so that people will be predisposed to support any case against the man, no matter how ill-founded. Even Ebenezer’s politically-correct nephew is blessed with a name from the maternal side of Scrooge’s family. Dickens certainly had more neutral or wholesome names from which to have chosen for my client. 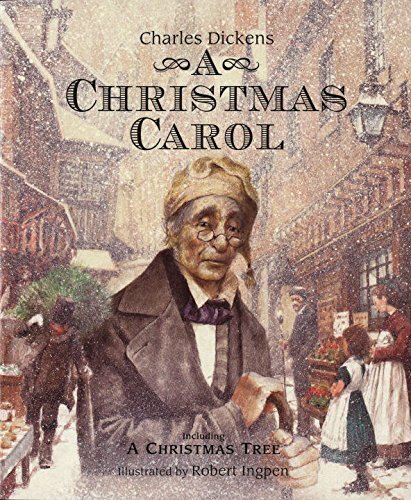 David A Christmas Carol Charles Dickens Best Price: $4.55 Buy New $21.00 (as of 02:40 EDT - Details) Copperfield, Nicholas Nickleby, Mr. Macawber come immediately to mind. Even the character Fezziwig conjures up a joviality and good-natured spirit in the minds of those who had never read the story. Can you imagine my client with the name Sidney Carten, going off to work each day expressing the thought “’tis a far, far better thing that I do today”? Can you imagine such words coming from the pen of Charles Dickens and crossing the lips of my client as he goes about his business of lending money to those whose productive dreams will help to enhance the well-being of tens of thousands of total strangers? Just as a defendant is told that he must take his plaintiff as he finds him, a lawyer must take his client as he finds him. And so I proceed to the merits – if, indeed, such exist – of the case against Ebenezer Scrooge. While a general demurrer should have disposed of this bogus and malicious action in swift fashion at the outset, such was apparently not done in a timely manner by my predecessor, and I am now compelled to go forward on the facts – and their legal significance – of this case. Taking my client as the miserable fellow Dickens has presented him, let me be the first to admit that if Ebenezer’s obsession with materialistic pursuits rendered him an unhappy person, and were it the purposes of his detractors to help extricate him from his self-imposed miseries and to restore him to that state of happiness and innocence so common to most of us in our childhood years, no one would be happier than I. But it is not my client’s happiness that the prosecution endeavors to obtain, but his money. The case against Ebenezer Scrooge is nothing more than a well-orchestrated, vicious conspiracy to extort from my client as much of his money as can be acquired through terror, threats of his death, and other appeals to fear. The only happiness that ensued to my client from this campaign arose from the ultimate cessation of terror inflicted upon him. Like the victim of any crime, the termination of wrongdoing offers a momentary relief that can be mistaken for pleasure, but it is an illusion. Such is the only happiness that Mr. Dickens has in mind for my client. It is instructive that Dickens tells us virtually nothing about the nature of Ebenezer’s business. We know that he is something of a banker or financier, but we are told nothing about the nature of his investments. Even if he has The Wizards of Ozymand... Butler Shaffer, Butler... Best Price: $12.27 Buy New $7.45 (as of 08:10 EDT - Details) not been a creative entrepreneur himself, he has, presumably, been responsible for financing many successful enterprises, which have not only benefited the rest of the community in terms of goods and services they provide, but afford employment to countless individuals, including Bob Cratchett. For all that we know – and it would seem to be beneath Dickens’ sensibilities to ask such a question or care about the answer – Scrooge may have provided capital for researchers seeking a cure for the very ailment from which Tiny Tim suffers. We know that, at the very least, by managing to stay in the lending business these many years, and accumulating handsome earnings in the process, Scrooge’s decision-making has been beneficial to others. All of this goes unmentioned by Comrade Dickens, who prefers to focus upon the fact that Scrooge has actually profited from these many benefits that his sound business decision-making has indirectly bestowed upon his neighbors. If we are to understand the essence of the case against my client, we must inquire into the nature of the collectivist thinking that produced it. In matters of economics, such people believe that wealth is simply a given, something that has come into existence in very mysterious ways, and in a fixed amount that has somehow managed to get into the hands of a few people through presumed and unspecified acts of dishonesty, exploitation, and unscrupulousness. Dickens expresses the dreary sentiment of “original sin” – an idea central to all collectivist thinking – which presumes individual self-interest to be a source of social misery rather than the fount of human well-being. That the pursuit of private selfishness can generate good for others – even when doing so was not the purpose of the actor – was far too complicated a concept for Dickens’ simplistic, fragmented mind. But to all collectivists, including Dickens, the idea that more wealth could be created never manages to invade their imaginations. Charles Dickens – writing at the peak of the industrial revolution – missed this essential feature of the period. To those who view wealth in such a limited way, the only question becomes “how is this fixed body of wealth to be most ‘fairly’ redistributed?” The question of “how can more wealth be created?” – and what conditions would be necessary for accomplishing such ends – never enters their minds, for the pursuit of such conditions would utterly destroy all socialist systems. The beneficiaries of such redistribution are looked upon as passive and dependent recipients of other people’s decision-making. In this connection, Bob Cratchett is the prototypical “proletarian.” It is to Mr. Cratchett that I would now like to direct my attention. The central character in this campaign of terror and extortion against my client is one Bob Cratchett, the 19th century’s version of Forrest Gump, a witless and chronic loser with no apparent control over any significant aspects of his life save, perhaps, for his body’s biological functions. He is an inflatable “Bozo” clown, whose only purpose in life is to absorb the blows visited upon him by others. He is the poster boy for “victimhood,” a flatliner devoid of any dynamic sense of life. Let me offer this caveat, however: we do not allege this man to be one of the principal conspirators against my client. 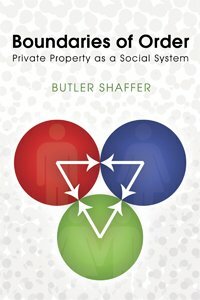 Far from it, for to have dreamed up, or to have actively participated in a scheme as convoluted and Boundaries of Order: P... Butler Shaffer, Butler... Best Price: $7.27 (as of 04:30 EDT - Details) diabolical as the one perpetrated against my client, seems far beyond the ambitions or the imagination of Bob Cratchett or any members of his family. Yes I am! I am going to attack the Cratchetts! “He can’t do that,” you may now be saying to yourselves. One of the offenses with which my client has been charged was that he had not paid Bob Cratchett a large enough salary. Cratchett has worked for an allegedly substandard level of pay – whatever that may mean – for my client for many years. Why? Why did he not quit? Why didn’t he go to work for some other employer – perhaps one of the politically-correct businessmen who periodically show up at Scrooge’s office to solicit and browbeat charitable contributions from my client? Put yourself in Cratchett’s position: imagine yourself to have been the “victim” of years of under-appreciated and underpaid work, head of a large family – one of whose members suffered from a life-threatening ailment – what would you have done? Would you have simply sat around in a kind of “Super Lotto” stupor, hoping that great fortune would befall you through some act of dumb luck? Certainly, in the early days of the industrial revolution wherein Dickens wrote, when new businesses were starting up all over the place in a great burst of economic creativity, there must have been all sorts of opportunities available for a competent bookkeeper. Great fortunes were made by those who rose up out of abject poverty – such men as Andrew Carnegie come to mind, a young boy who went from seeing his father begging in the streets for work, to become the richest man of his era. At no time in history had there been a greater opportunity for self-betterment than during the industrial revolution, where demonstrated merit helped to destroy the state-conferred privileges of feudalism. 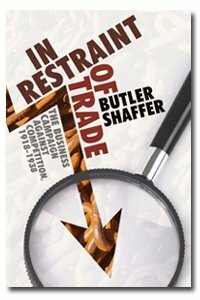 To anyone with even the most rudimentary understanding of economics, two things should be clear:  if, as has been alleged, my client is a tight-fisted, selfish man, he surely would not have paid Bob Cratchett a shilling In Restraint of Trade:... Butler Shaffer, Butler... Best Price: $46.44 Buy New $19.00 (as of 11:15 EDT - Details) more than his marginal productivity was worth to Scrooge’s firm, and  if Bob Cratchett was being woefully underpaid by my client, there must have been all kinds of alternative employment available to this man at higher salaries. If Cratchett cannot find more remunerative work, and if my client is paying him the maximum that he is marginally worth to his business, then Cratchett must be worth precisely what my client is paying him! Economic values are subjective, with prices for goods or services rising or falling on the basis of the combined preferences of market participants. It is this interplay of marketplace forces – which Dickens neither understands nor favors – coupled with Cratchett’s passive, sluggish disposition when it comes to improving his marketable skills or opportunities, that accounts for Cratchett’s condition in life. My client should no more be expected to pay Cratchett more than his marketable skills merit than would Dickens have paid his stationer a higher than market price for his pen, ink, and paper, simply because the retailer “needed” more money! The prosecution, in the form of Mr. Dickens, would have you believe that my client is a heartless and irresponsible person. But how much parental love and responsibility is exhibited by the sniveling and whining Bob Cratchett, who does little more than sit around and hope, . . . hope that someone will show up with more ambition and sense of urgency and caring for Tiny Tim than do he and his deeply lobotomized family. What if your child was drowning in a lake: would you just stand on the shore and hope that a Boy Scout would show up looking for a daily “good deed” to perform? What if you came upon a school building that was afire and full of trapped, screaming children. Would you just stand there and watch and wonder to yourself: “why doesn’t someone sound the fire alarm or try to rescue those poor children?” Such would have been the response of Bob Cratchett; such is the model of individual responsibility offered up to us by Charles Dickens! If Cratchett’s stagnating in the backwaters of Scrooge’s shop was due to his basically poor work skills, we are once again confronted with the question: why did Cratchett not seek to enhance his skills, as by learning a more remunerative trade? That would certainly have been a great benefit to his family, including affording additional resources with which to possibly rescue Tiny Tim from his malady. 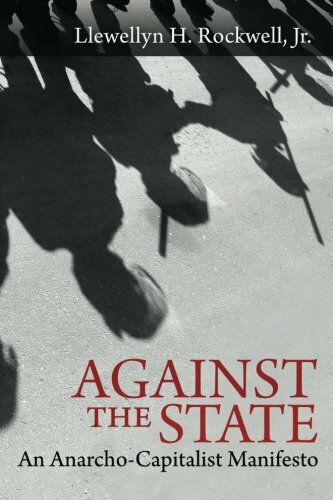 But, alas, Bob Cratchett was, once again, Against the State: An ... Llewellyn H. Rockwell Jr. Best Price: $5.00 Buy New $9.30 (as of 10:25 EDT - Details) either too unambitious or too unimaginative to pursue this course of conduct. Indeed, about the only gumption we see Cratchett exhibiting in this story is in his groveling request for another lump of coal for the stove, or his equally weak-kneed appeal for a day off on Christmas. Such is the extent of his courage, ambition, and love for his family. My client – whatever his reasons – has seen fit to keep this incompetent, noncreative dawdler on his payroll. But instead of being praised for not terminating this slug, he stands condemned for not paying him more than he was marginally worth; more than any other employer would have paid him if, indeed, any other employer would have hired him in the first place! Perhaps my client’s retention of Bob Cratchett should be looked upon as the mostcharitable of all the acts engaged in by anyone in Mr. Dickens’ story! As I have already suggested, you can see that Bob Cratchett is not an active party in this conspiracy of terror and extortion against my client. He is both too dull and too lazy to have participated in such a scheme. Had this plot depended upon mobilizing the imagination or energies of Bob Cratchett, Ebenezer would have spent a quiet night of sleep, without being intruded upon by the snarling and clanking Jacob Marley, let alone the associated bogeymen and shakedown artists who show up to terrorize my client. You are now able to see the fundamental contrast of characters presented to us by Charles Dickens. Scrooge – the only person in the novel exhibiting any creative intelligence, and the only one who produces anything – is thevillain because he has not given an unearned portion of his wealth over to Bob Cratchett – a man presented to us as a victim incapable of producing much of anything! In this brief synopsis, you see the thoroughly dispirited nature of socialism, a philosophy for losers, that feeds upon, and requires the continuing nourishment of, the mindset of victimology. The morally culpable wrongdoers in this shakedown of my client, though, have to be the spirits, who trespass, at night, upon the quiet enjoyment of my client’s premises to terrify him with previews of his own demise should he not succumb to their demands to part with his money. No more blatant act of criminal extortion could be imagined than that visited upon my client by these spirits. If these forces are representative of the denizens of the allegedly heavenly planned community, I can only wonder how more unbearable it could be to spend eternity in warmer climes! At least “Old Scratch’s” subdivision has the honesty of not pretending to be an idyllic paradise while peddlingguilt and terror! Perhaps it is a tipoff to the diabolic nature of the prosecution in this case that the name “Dickens” has long been a synonym for the devil! It might be argued that Dickens’ spirits were simply interested in the reclamation and rehabilitation of my client’s soul, and that such acts of terror had the well-being of Scrooge at heart. Such were the arguments used, during Amazon.com $50 Gift Ca... Buy New $50.00 (as of 02:25 EDT - Details) the medieval Inquisition, to justify the torture and burning-at-the-stake of heretics or, in later generations, to the persecution and hanging of witches. Lest you accept this shabby explanation for their behavior, ask yourself this question: would these spirits have deigned to visit Ebenezer if he had been a penniless beggar? Would they have bothered this man for a single moment had there been no money to squeeze from him? The spirits informed Scrooge that he needed to think of more than just himself, and to consider the interests of posterity. But what had posterity ever done for him? Furthermore, at any point in the story, did these spirits demonstrate regard for the well-being of other persons who might be inconvenienced by Scrooge’s being terrorized into giving away his money? If my client is to throw his money around, or pay more for services than what they are marginally worth to his firm, what is to happen to the plans of those who had arranged to borrow money from Scrooge’s firm, only to be later told that the funds for such loans were no longer available? Do the spirits have any way of compensating them for their disappointments or, like socialists generally, are they totally indifferent to the unintended consequences of the events they set in motion? It is at this point that my strongest condemnation for these spirits arises. Any decent person in whose veins course even a minimal level of humanitarian sentiment must look upon the spirits with utter contempt and moral revulsion.Keep in mind, these specters are possessed with the powers to suspend ordinary rules that operate throughout the rest of nature. They can successfully defy gravity, move backwards and forwards in time, cause matter to becomeinvisible, raise the dead, and foresee the future. Having all of these amazing powers, why did these spirits not intervene to cure Tiny Tim of his ailment? The answer is quite clear: like socialists and welfare-staters generally, they didn’t give a damn about Tiny Tim’s plight! This poor, crippled boy was nothing more to them than an opportunity, a convenient resource to exploit in furtherance of what was important to them: to wring from my client whatever amount of money they could. The fate of Tiny Tim was held hostage; left to the outcome of an elaborate blackmail scheme! Assuming that Ebenezer has free will, he might have chosen to resist this campaign of terror, and to awake on Christmas morning more determined than ever to protect his assets from these psychic extortionists. Too bad for Tiny Tim, in that case, for the spirits were more interested in furthering their abstract ideological interests – including obtaining power over others – than in stooping to actually help another human being in need. If the campaign against my client failed, they would simply have moved on to other more profitable causes, leaving Tiny Tim to face an early death which, presumably, it was within their powers to prevent. Had the spirits been truly desirous of helping the Cratchett family, they would have been better advised to focus their time and energies upon this family rather than upon my client. The “Ghost of Christmas Past” could, perhaps in some proto-Freudian style, have taken Bob Cratchett back to his youth, to help him discover why he had become such a passive, wimpy recipient of other people’s decision-making. 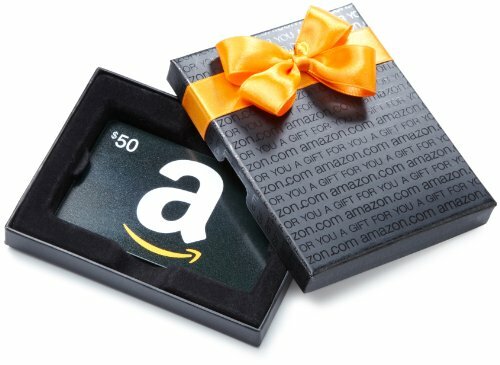 Then, perhaps, the “Ghost of Amazon.com Gift Card i... Check Amazon for Pricing. 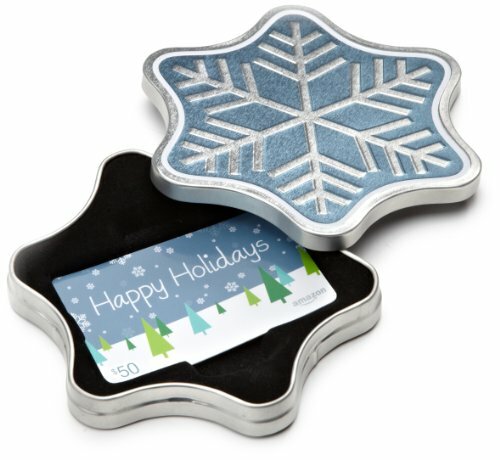 Christmas Present” could have appeared to warn Cratchett of the dreary fate awaiting his family as a consequence of his incompetence, laziness, passivity, and psychic bankruptcy. The prospect of Tiny Tim’s death, and of his own family ending up in a dismal poor house, might have been enough to stir some semblance of ambition in this hapless lummox. These spirits might even have offered him more positive assistance, perhaps by encouraging him to develop better marketable skills, in order that he might remove his family from the dire straits to which Cratchett seems all but indifferent. What level of paternal love is exhibited by this totally inept member of the booboisie, who has no more imagination or motivation on behalf of his ailing son than to sit around whining that his son will surely die unlesssomeone else, . . . somehow, . . . at some uncertain time, shows up to bestow unearned riches upon his family? Bob Cratchett represents that growing class of mathematically challenged men and women who believe that alottery ticket is the most realistic means of acquiring riches! You can see that Tiny Tim is not the only cripple in this family! His parents are existentially handicapped and show no disposition to change. If there is anyone to whom an accusing finger should be pointed, here, it is not my client, but that hapless, helpless, and hopeless brood known as the Cratchetts; a weak-kneed gaggle prepared to do little more on behalf of the ailing Tiny Tim than to sit around hoping that my client will experience a transformation in consciousness sooner than will they, and that he will agree to pay the inept Bob Cratchett more money than he is worth! Of course, any suggestion that the Cratchetts exercise independence and self-responsibility in their own affairs would run counter to the political and social agenda that Dickens, through his assorted spiritual operatives, have over such proto-proletarians. To have the Cratchetts of the world become truly self-governing and autonomous would be fatal to the socialist mindset, which requires a passive, compliant, conscript clientele, only too willing to exchange one master for another. Neither Charles Dickens – nor his intellectual heirs such as Frank Capra – could have enjoyed financial success in a world of independent, self-liberated, self-conscious, and self-directed men and women. As we reach the end of the story, we see my client reduced to such a state of psychological terror at the prospect of his own death, that he awakens and begins throwing money out the window to a stranger in the street. In the mind of Dickens, Scrooge has now justified his existence by abandoning the rational decision-making that has made his firm successful, and adopting the mindset of a social worker who barges into the Cratchett household and begins running their lives. While Ebenezer’s post-nightmare behavior reflects what can only be described as the most immature understanding of how wealth is both produced and exchanged in the marketplace, they also represent significant legal issues. I would suggest that a man who has been induced, by dread fear of his own death, to part with his money, has available to him the claim of duress to restore to him what was involuntarily taken from him. The basic principles of property and contract law support the conclusion that transactions entered into under duress are voidable, if not void absolutely. Secondly, the fears generated by the aforementioned spirits have probably risen to such a level of influence upon my client’s mind that, in addition to his claims of duress, he could be said to have lacked legal capacity to exercise rational decision-making over his property. What sight could be more demonstrative of this incapacity than the spectacles of Scrooge throwing money out into the street to a stranger; bestowing gifts upon a thoroughly incompetent and ungrateful employee and his family; and giving this sluggard an unearned pay raise? In the final analysis, this case against Ebenezer Scrooge comes down to an emotional appeal based upon the resentment and envy that is at the core of every second-rater’s personality. Such charges as have been leveled against my client only serve to confirm, in the minds of far too many, that the success of the few is always bought at the expense of the many, and that financial wealth is only accumulated through fraud, corruption, exploitation, dishonesty, and a depraved insensitivity to human suffering. With such beliefs do the unmotivated or the unsuccessful soothe their shabby egos. “I may be poor, but at least I didn’t sacrifice my principles” is the common defense of those whose accomplishments come up short in comparison with their more prosperous neighbors. It would be unrealistic, I suppose, to have expected a different result from a collectivist such as Dickens, who had a most restrictive and depressing view of the human spirit. Still, I cannot help proposing a settlement offer that would produce a different ending for this story. As I stated at the outset, my client has not only been stereotyped as a tight-fisted man of commerce, but he has bought into such stereotyping for his own sense of identity. Scrooge did not experience any internally-driven transformation of consciousness as a result of his encounters with the spirits. Any change that he exhibited was superficial in nature, based upon his attachment to material values: his life instead of his money. But bear in mind that Dickens, like other socialists, is an equally materialistic creature. Had Scrooge been truly transformed by these experiences, his life might have been opened up to happier and more pleasurable pursuits than can be had through the counting of either his money or the remaining days of his existence. Still, I doubt that Bob Cratchett would get the message. I suspect that he would still cling to his tin-cup lifestyle, preferring to trade upon our sympathies rather than develop creative talents; never to experience the joy of existential equality and dignity that comes from being a producer of goods and services that other people value. Sympathy should take us only so far, and never become a substitute for the self-respect that comes from being in control of one’s life. Tiny Tim may, it is hoped, rid himself of his crutch: I have my doubts about Bob Cratchett doing so. At some point, we need to show some appropriate respect for the forces of natural selection that have long directed the life process. We ought to learn from the rest of nature: either we make ourselves capable of adapting to an ever-changing world – by improving the skills or other learning with which we act upon the world – or we prepare to die. Dickens’ approach, like the underlying methodology of the welfare state, does nothing to provide long-term help for the Cratchetts of the world. Scrooge’s unearned generosity will not only increase his costs of doing business – thus increasing the likelihood of his own business failure – but, upon his bankruptcy or eventual death, will leave Cratchett in the position of having to find a new host upon which to attach himself for the remainder of his parasitic life. In spite of all this, there may yet be some hope for Tiny Tim to escape from the limited future implicit in the restricted imagination of Charles Dickens. Tim may have some potential, if only he can be freed from this family of whining misfits. If he is not rescued, but manages to survive only as a result of the shakedown perpetrated upon my client, his future may be a bleak one. He may even end up confined to a “bleak house,” or, worse still, spend his adult years in the spiritually drearier position of being an executive director of some political action group designed to mobilize other social misfits, yawlers, and existentially bankrupt men and women. As part of a settlement offer, my client would consider adopting Tiny Tim – should his parents agree – and cut loose the rest of the Cratchett family to continue their mindless, unfocused, dispirited, and passive bottom-feeding in the shallow and stagnant end of the human gene pool. But let us have no more of these “drive-by” specters from the netherworld, who feign their concern for crippled children. Like other opportunistic parasites who tell us that they “feel our pain” even as they are causing us more pain, let us have no more of the self-serving guilt-peddling that keeps men and women subservient to those who threaten to cut off their dependencies. Tiny Tim is young enough to be given the benefit of the doubt as to his future. As for the other members of the Cratchett family, let us allow the evolutionary processes of nature to dispose of these nonadaptive, nonresilient, nonambitious leeches who exhibit not the least sense of intelligence or creativity in the plight of one of their own, for whom they exhibit only superficial concern. 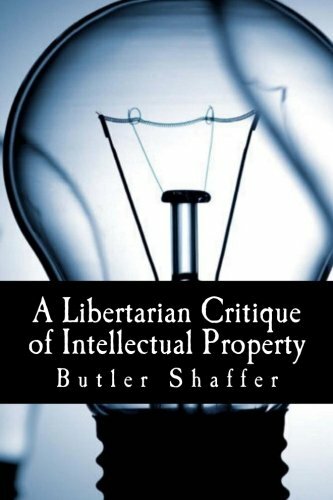 Butler Shaffer [send him e-mail] is Professor Emeritus at Southwestern University School of Law. He is the author of the newly-released In Restraint of Trade: The Business Campaign Against Competition, 1918–1938, Calculated Chaos: Institutional Threats to Peace and Human Survival, and Boundaries of Order. 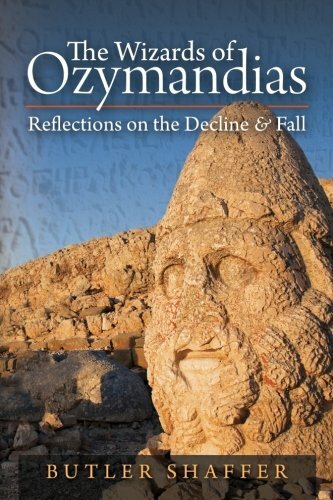 His latest book is The Wizards of Ozymandias.